E-commerce reports can sometimes overwhelm us with data that’s a real pain in the neck to sort through. To get a grasp on the most important metrics for your online cart operation, here’s a quick look at three key e-commerce reports that can help you take the right decisions and do better business. In short, everything you need to know from a management perspective about what’s going on with your online shop is visible in one place. However, there are times when you want to see more. To beat targets and improve KPIs it’s vital to dig deeper into your website visitors’ behavior in order to understand what drives them to take certain decisions in certain circumstances. Piwik PRO’s powerful default profiling tools allow you to track individual customer journeys through User-Centric Reporting. This feature inspired our developers to create the E-commerce Log. To learn more about User-Centric Reporting, take a look at this blog post: How to Drive Conversions with User-Centric Reporting. Summarizing and listing the visits and actions taken by individual users allows you to record the paths they take around your website. Interactions, time spent on site, products purchased and products abandoned – all of these data sets can be captured to help you learn what turns abandoned carts into conversions. Yet the most valuable data you’ll get is the visits list. It shows you the whole journey from referral to conversion or drop-off. 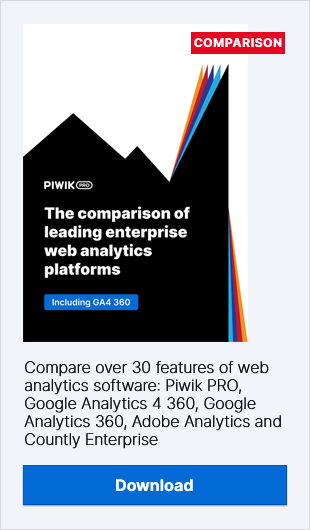 Something we really like about Piwik PRO is that you can easily correlate this information at a less granular level through applying customized segments and get an even clearer picture of user behavior in particular visitor groups. This knowledge helps you refine your website and achieve significant improvements in your sales funnel. Generating insights into the performance of individual products is another means of juicing revenue and raising overall performance. The products report provides you with a view of products grouped by SKU (unique product ID number), Name and Category. In order to refine your product offer and make it more attractive to your website visitors, you should first understand which products are performing the best and the worst. Detailed e-commerce products reporting helps you to determine what you need to stock in order to maximize conversion rates and give customers access to the things they desire most. These reports can be generated for both orders and abandoned carts, helping you to understand the decisions your customers are taking regarding particular products. You can dive a bit deeper into this issue with our E-commerce Analytics User Guide. Of course, Piwik PRO offers many more reporting options to assist you in identifying opportunities for enhancing conversions and revenue, but the three shown above are a good place to get started. To learn about some of the additional e-commerce reports offered by Piwik PRO, click here for details.